When Liam’s parents discovered in October of 2008 that they were expecting their 3rd baby, they never would have imagined what was in store for them. At 20 weeks pregnant, they learned Liam would be born with a cleft lip and palate. This news crushed them. “We didn't know then, but Liam had more surprises for us. By the time I gave birth, we had come to terms with Liam's cleft diagnosis and realized it was something that could be 'fixed'.” On June 18, 2009 their third son Liam made his appearance into the world. When Liam was 5 weeks old they were told he had bilateral PHPV, a rare eye condition leaving him blind in both eyes. What seemed insurmountable a year and a half ago seems almost 'normal' to to them now. “I can't imagine my life any other way! Liam has taught us so much in such a short time. We truly see the world in a different, more positive way. It's been a difficult road, one which we never could have imagined we'd be taking, and I'm sure to many when I say we're so blessed it may seem strange - but we are!” say’s Liam’s mommy. 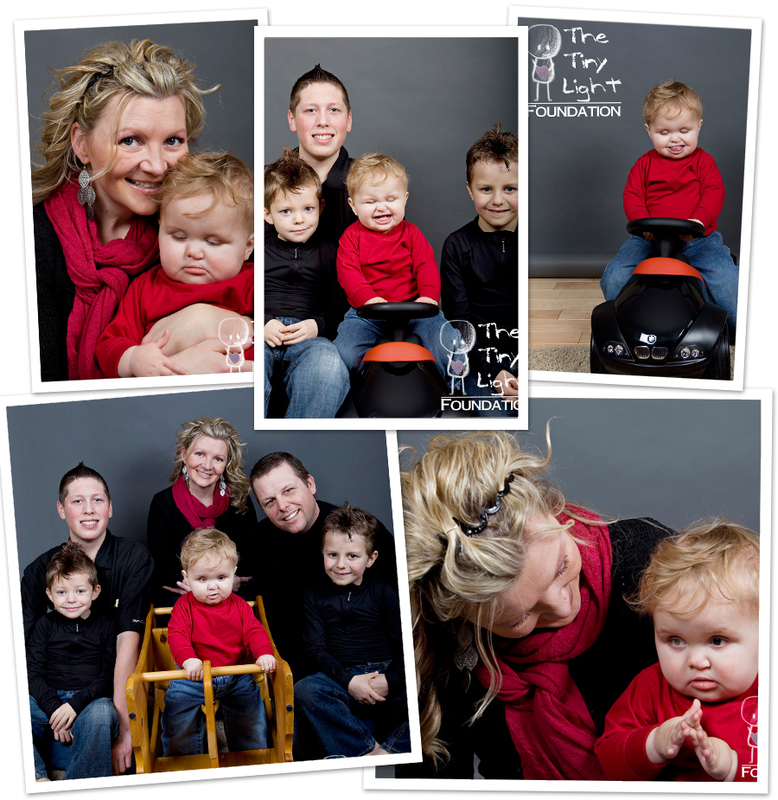 Liam is a very brave and strong little boy in the last 18 months he has had 14 surgical procedures. Today he is going in for another. Liam’s mom and dad have been married for eight years, Liam has 3 brothers; Lukas, 6 years; Brady 5 years; Liam 18 months, as well Nathan, 16 years.